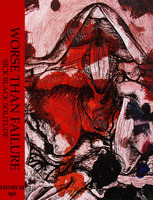 Worse Than Failure - "Sick Black Solitude" MC is available now! Limited to #30 copies. Bestia - "Ronkade parved" album is now available on tape! Limited to #66 copies. Exactly 2 years later we are going to release next Hokedun cassette. 35 hand-numered copies only. Turdus Eremita tape is out! 20 copies only.